CMX Connect Events Are Incoming! CMX is the premiere community for community professionals. Bevy is building communities in real life. 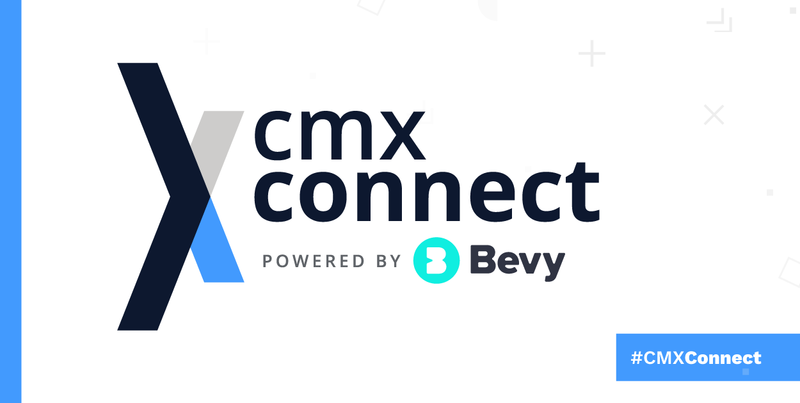 With our powers combined, we bring to you CMX Connect, powered by Bevy. CMX Connect events are about harnessing the incredible power of community. This program fulfils the need for community professionals to come together in-person and learn, grow, and, well… Connect! 1) First of all, WHAT is CMX Connect? CMX Connect is a local event program to be used as an educational resource for community builders, and to connect community professionals with their peers in their local area. The events are about sharing information, having discussions, and building a knowledge base about all things community and customer to customer (C2C) marketing. Community as an industry is taking over the business world. More and more companies are realizing the importance of fostering community and focusing on C2C marketing as a key channel. (For a more detailed look at Customer to Customer marketing, check out this blog post! By connecting with a community of like-minded people, the knowledge base grows, it becomes easier to teach and learn, and everyone benefits. Our goal is to reach out and engage with community leaders all over the world. 2) WHO is a CMX Connect for? CMX Connect events are for customer to customer (C2C) marketing professionals and community builders (online, offline, internal, or brand marketing), such as user group program managers, community managers, field marketers, social media managers, event organizers, human resource managers, and customer success managers. Connects fulfill the need for community professionals to share actionable strategies and advice, and to build a supportive network. 3) So, WHY have an event? Because in-person is still the most powerful way to connect. Invite all your peers that might be interested in discussing the challenges, sharing the opportunities, and celebrating the wins they have as community builders. The strength of a community is determined by each individual, and the best way to strengthen yours is to build each other up. And there is no better way to do that than face-to-face. Connects can take shape in multiple ways — as roundtable chats, panel discussions, or presentations — and each event will centre around a relevant topic. 4) and 5) Ok, WHEN is the next CMX Connect? And WHERE will it be? CMX Connect is in Austin, Boston, Calgary, Vancouver, LA, New York, San Francisco, Seattle, Toronto, and Vancouver. CMX Connects can happen anywhere in the world. Where will YOU bring us? Click here to learn more about becoming a CMX Connect Host! Community & Events Marketing Manager at Bevy! Passionate about building our in-person community and connecting with members. When I’m not writing on the Bevy Blog, I’m writing about my global travels!